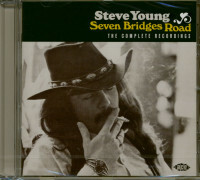 (Ace Records) 10 tracks - Steve’s 1981 Rounder album, much less country and more rock than his previous releases. Following last year's CD reissue of the country/folk singer/songwriter/guitarist Steve Young’s second album, 1972’s classic 'Seven Bridges Road', Ace Records now reissues his overlooked sixth LP, the more rock-inflected 'To Satisfy You'. Featuring enlightening notes by Garth Cartwright and an exclusive interview with co-producer Mac Gayden, this CD edition of the album reveals additional facets of Young's artistry as he covers nine songs by significant artists and proffers a seminal number of his own. Remarkably gifted yet tragically underrated, Steve Young’s life story reads like a poignant country song. Born in 1942 to poor sharecroppers in Newman, Georgia, only the rich music of the South – folk, gospel, blues, country, bluegrass and rock’n’roll – offered any relief from his poverty-stricken upbringing. Having learned to play guitar at 14, by his early 20s the hard-living Young's loud support for the Civil Rights movement had forced to him to leave the South. He headed to Los Angeles with local folk players Richard Lockmiller and Jim Connor, who had a contract with Capitol and an LP to record. Busking on Sunset Strip, playing with a young Steven Stills in the Gas Company, prodigious consumption of drink and drugs, marriage to singer-songwriter Terrye Newkirk and a job in the same Silver Lake post office as dissolute author Charles Bukowski ensued. Having made an impression on the group Stone Country’s 1968 album, Young was finally offered a solo deal. Neither his debut, 'Rock Salt And Nails' (featuring James Burton, Gene Clark and Gram Parsons) nor the magnificent 'Seven Bridges Road' (a prescient template for 'Outtlaw' country) achieved the success they warranted. Despite his songs being covered by performers such as Rita Coolidge, Dolly Parton, Joan Baez, Hank Williams Jr and Waylon Jennings, and three fine solo albums during the 70s, an alcoholic and drug addicted Young drifted away from the music industry. A cover of his song ‘Seven Bridges Road’ by the Eagles in 1980 renewed interest in the now sober and Buddhist Young. Rounder Records purchased the rights to and reissued a new version of the “Seven Bridges Road” album and put him back in the studio to record 'To Satisfy You'. Primarily a covers album, 'To Satisfy You' includes Young’s salutes to artists such as Buddy Holly (‘Think It Over’), Holly’s former bassist Waylon Jennings (the title track), the Mississippi Sheiks (‘Sitting On Top Of The World’), the Rolling Stones (‘No Expectations’), Cat Stevens (‘Wild World’) and songwriter David Olney (‘The Contender’) and closes with one of his own most beautiful compositions, the elegiac ‘The River And The Swan’. Steve Young ist seit Jahren schon ein Dauerbrenner beim Festival in Frutigen. Er wird von den dortigen Veranstaltern mit Recht als der Singer-Songwriter par excellence präsentiert. 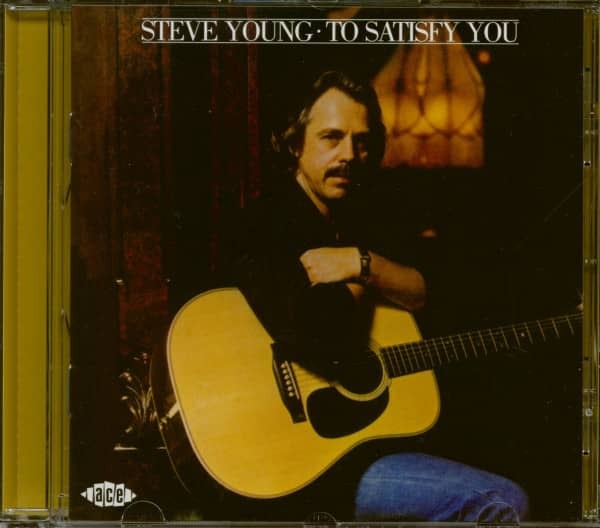 Dabei gilt Steve Young, ein stiller, fast introvertierter Typ, schon seit vielen Jahren als der "Geheimnisvolle", der grosse "Unverstandene" der Country Music Szene. Beeinflusst von Elvis Presley, den Folk- und Bluesinterpreten und den progressiveren Vertretern der Country Music wie Johnny Cash, Waylon Jennings und Willie Nelson, begann er seine eigene Musik zu entwickeln, die einmal sehr subtil und differenziert klingen kann, dann wieder hart und zupackend, mal rockig, dann wieder ruhig, ganz im Stil des alten Folksongs. In den frühen 70er Jahren erschien seine erste L.P. Seven Bridges Road, die Platte, die noch heute mit zu seinen besten zählt. Ein Vertrag mit RCA Records im Februar 1976 führte zu zwei sehr guten L.P.-Veröffentlichungen, doch Steve Young ging irgendwo im hektischen Betrieb des grossen Plattenkonzerns unter. Ähnlich wie Tom Russell verweigert er sich immer wieder einer Vermarktung seiner Musik. Customer evaluation for "To Satisfy You (CD)"